Expanded for 2015! This Guidebook addresses key aspects of a self-storage manager’s duties and provides insight to sales, legal issues, money management, marketing, maintenance and much more. The role of a self-storage facility manager is multi-faceted and complex. Today's managers are true professionals responsible for many critical tasks: sales, customer service, marketing, facility maintenance, community relations, collections, lien sales and much more. 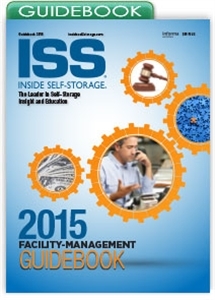 The 2015 Facility-Management Guidebook helps to define the duties of a self-storage manager and provides insight to several key job areas. It pro-vides information you need to understand, embrace and excel at day-to-day facility management.